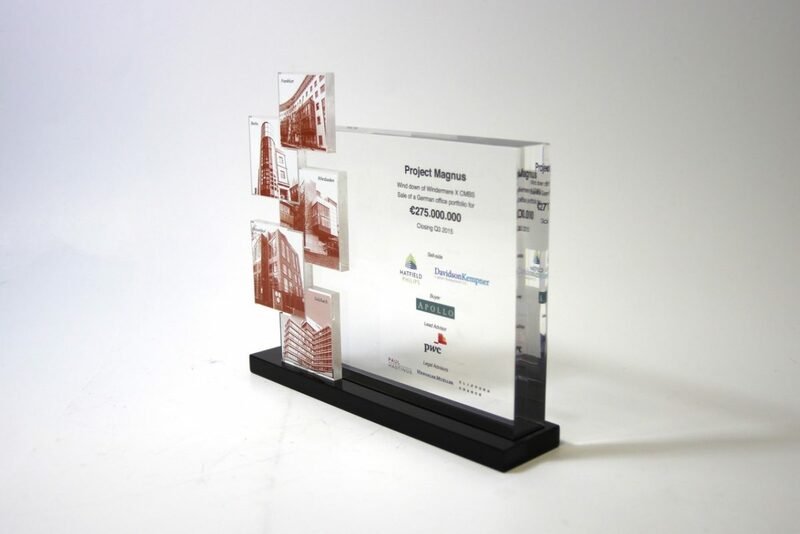 Here at Podium Designs, we’ve worked with a wide range of industries and businesses to create something perfect for them as corporate memorabilia, or to commemorate a successful deal or event. In our 30 years of experience, we have designed and manufactured many bespoke deal toys and deal tombstones for real estate companies, including the selection that you can see in the gallery below. See the wide range of business names that have come to us searching for something unique to them, and see how we’ve succeeded! You’ll find a huge variety of designs, shapes, and features that make each business award exclusive to the companies involved in the deal, event or big sell.